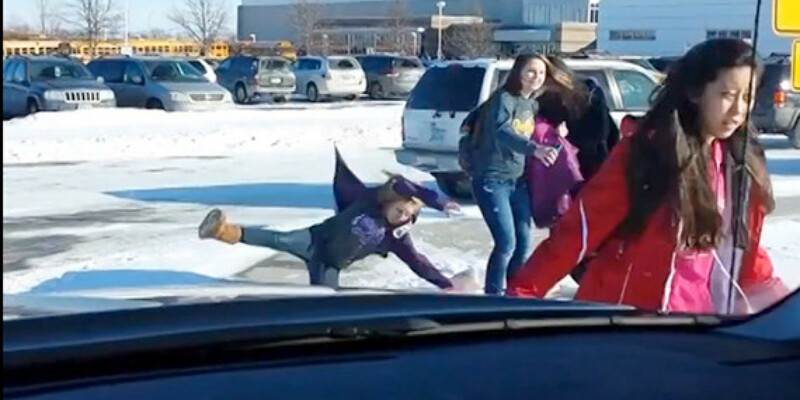 If you’re a dad waiting to pick up your child from school and happen to observe student after student slipping on the same patch of ice in the midst of wintry weather, it’s tough to fault you for finding some schadenfreude in the situation. Which is precisely what occurs in this six-minute clip that one such father filmed and posted, complete with running commentary. The video, from BaconTFM, starts at what appears to be recurring occurrences from students passing by. Even when his child finally arrives in the car, the amusement continues. To quote the child at seeing the slippery shenanigans unfold with her fellow classmates, “This is really bad!” Well, we couldn’t agree more, but as no one appears hurt, we may have laughed a little while watching, too. Previous articleOMG We Bought a House! Episode 4: See You At The Altar!